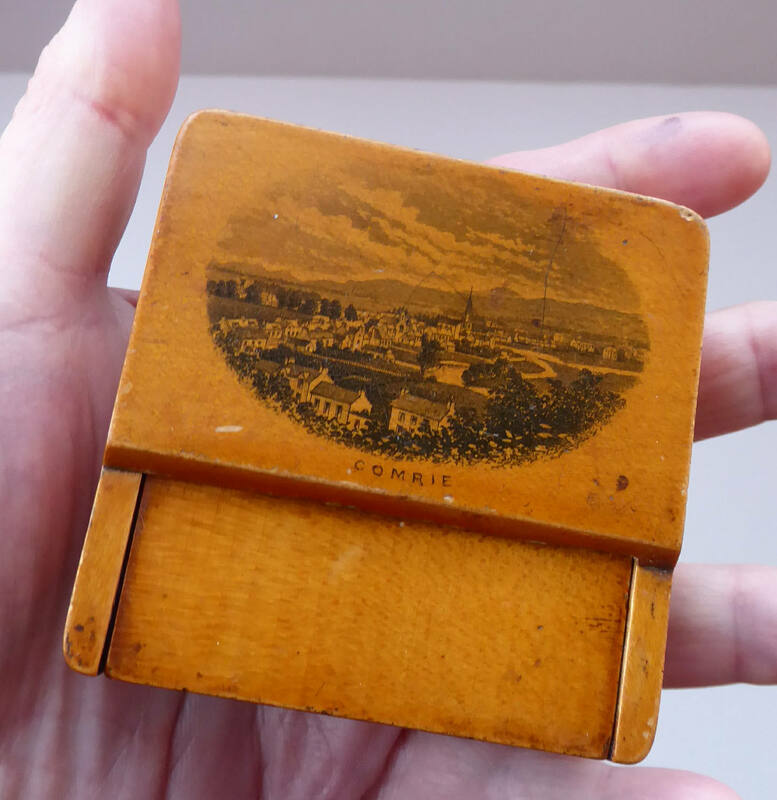 This is a fine antique pocket watch holder which is made by Mauchline Ware. These watch holders are harder to find items and this is reflected in my asking price. 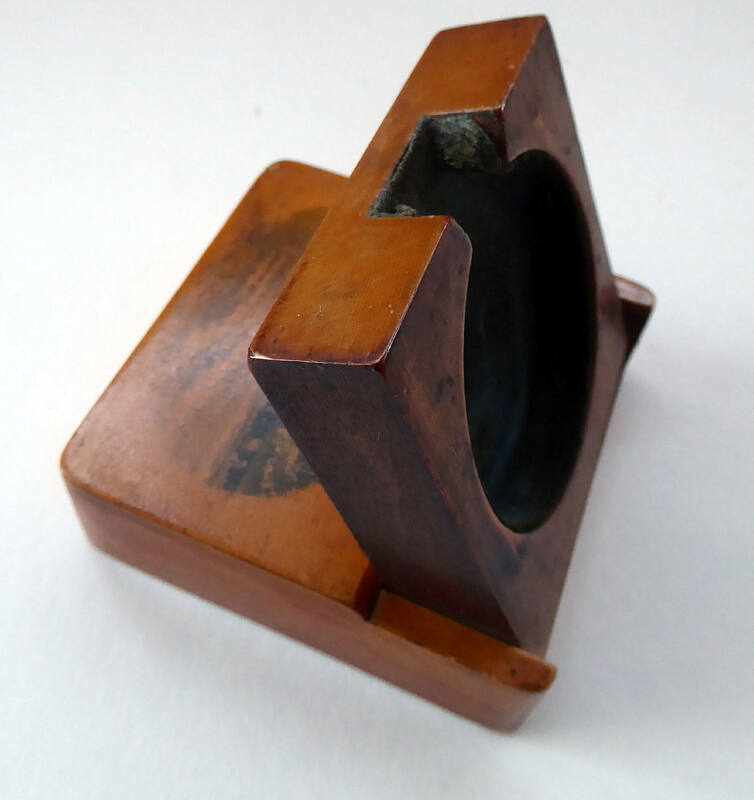 Mauchline Wares are Scottish wooden items which date from about the 1880s - until the 1900s. They are generally wooden souvenirs and giftware - made of fruit woods and decorated with black transfer designs. The scenes are usually of landmarks and popular towns - and spots favoured by tourists. They were very popular in their day and many pieces were exported globally. The centre of the Mauchline Ware industry is the small village of Mauchline - which is located 11 miles inland from the Scottish coastal resort of Ayr. At its peak over 400 people were involved in the manufacture of these small (but always beautifully made) wooden souvenirs. Similar products were also made in Lanark - but most of the pieces are known by the generic name of Mauchline Ware. The watch would sit in the aperture lines with dark velvet and sit on your bedside cabinet almost like a little travel clock. A lovely rich amber patina to the wood - which only comes with age. The transfer printed image is in pretty fine condition - the velvet is without losses or damage. The fruitwood which makes up the stand is without cracks, chips or damages. 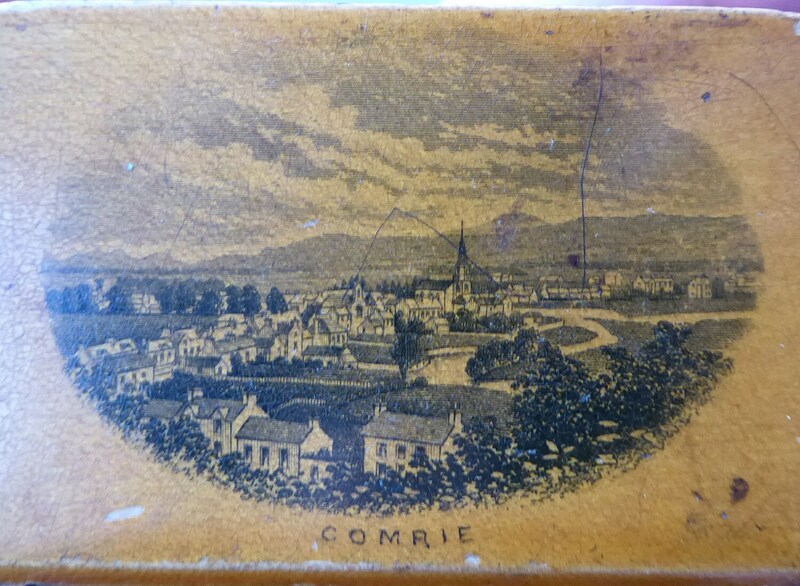 The image shows the Scottish village of Comrie - which is in Perthshire. 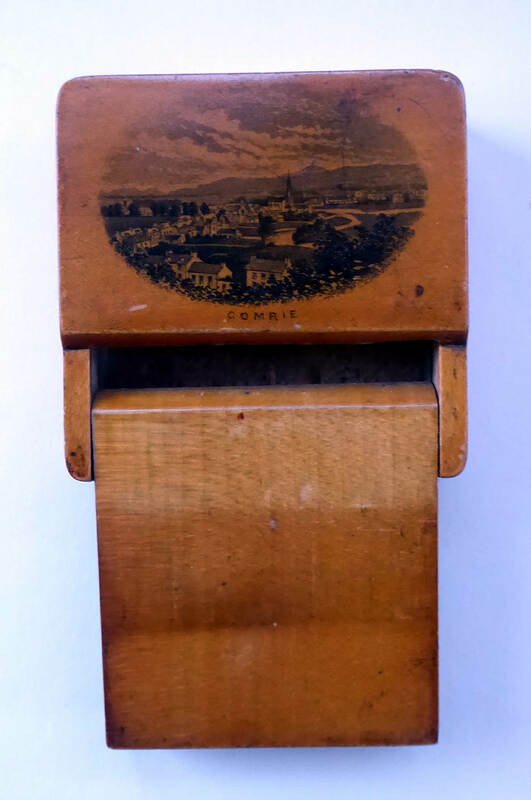 Today, the town has hardly changed from the image shown on my holder. 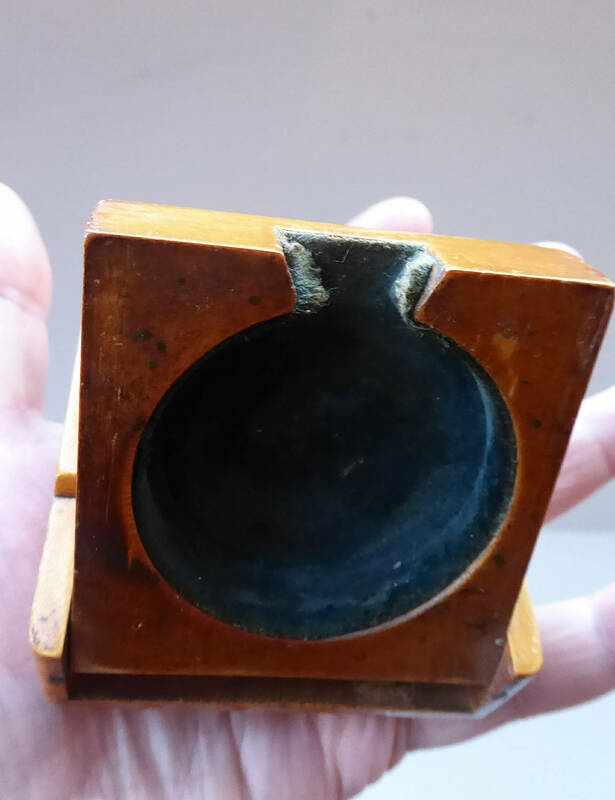 A very unusual and attractive example of late 19th century Mauchline ware. It looks much nicer in real life than it does in my photographs! Dimensions: Height of the front (when closed ) is 2 3/4 inches; width is the same and the depth of the holder when closed is an inch at its widest.